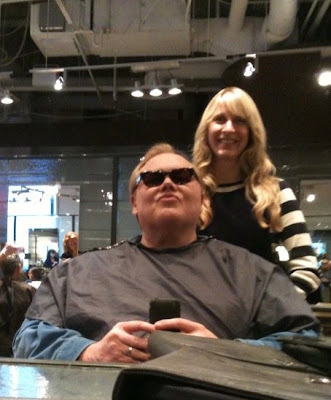 Comic Louie Anderson - a Minnesota native - made a stop into Juut Salonspa on Nicollet Mall this afternoon, where Master Stylist (and Hot Roxx record spinner) Jen Hughes cut his mop. Lookin' good, Louie! Nice work, Jen.